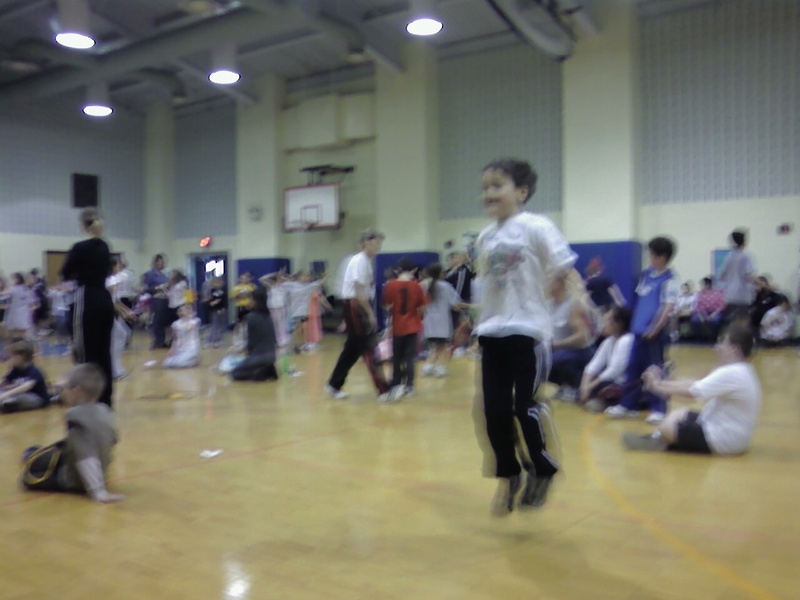 Another Delco Guy is at John's school early this Saturday morning for the American Heart Association's Jumprope for Heart 2008. About 300 youngsters are exercising to the music today to raise money to fight heart disease. The highlight so far was the mass performance of 'Cotton-Eyed Joe,' a school favorite. More photos and a wrap after the event!